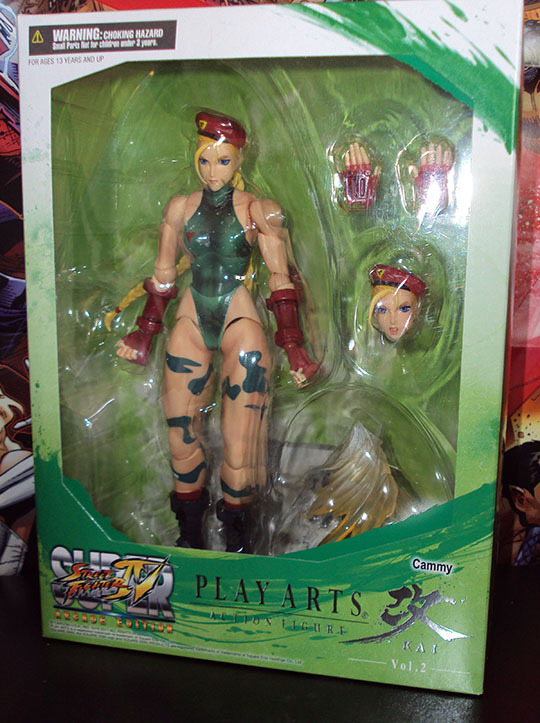 Check Cammy from Super Street Fighter IV Arcade Edition. 8 inches tall. Multiple points of articulation. Features alternate head, extra hand set, and effect part attachment for one foot. Priced at $59.99. Available now through many US comic book stores, eBay, Amazon. The delivery boy at Sasaki Pom Poko Delivery lives his life-long dream and becomes a Reddo as Akiba Red. Based off the Unofficial Super Sentai Series Akibaranger. 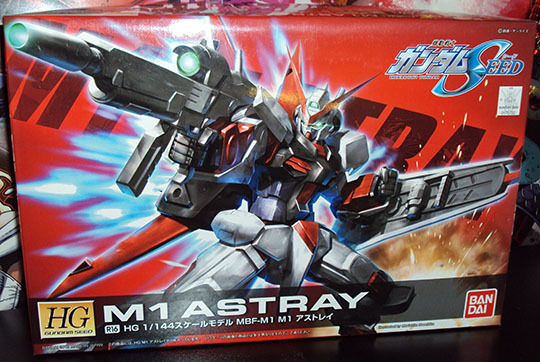 6 inches tall, include extra hands, and the MMZ-01 handgun. 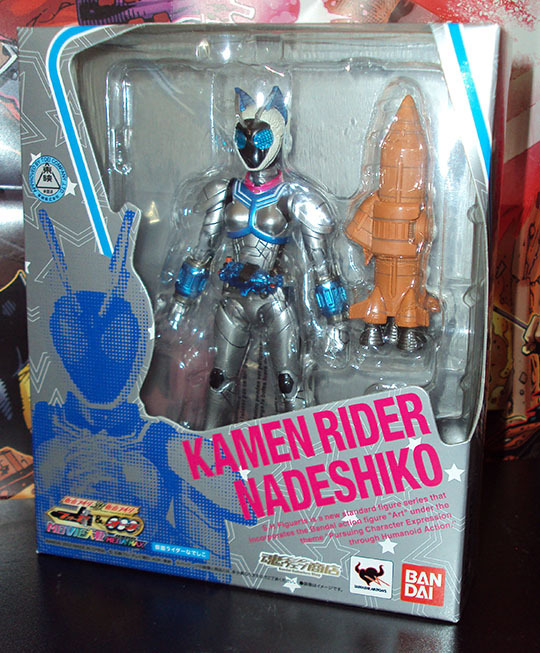 Check out this Tamashii Web Exclusive of Kamen Rider Nadeshiko. She first debuted in the Kamen Rider Fourze & OOO’s Movie War Mega Max movie. 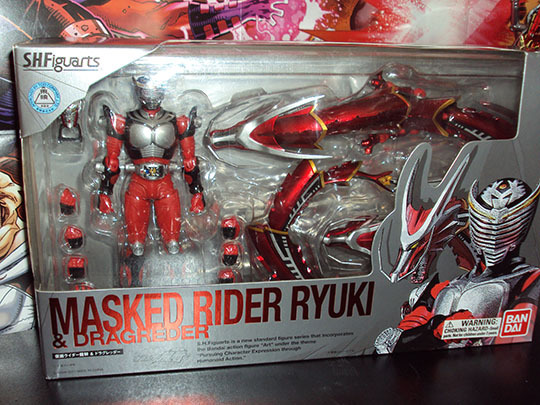 A rare female rider in the S.H. Figuarts line, she stand about 5 inches tall, includes extra hands, Rocket Arm, and exclusive display stage. Goes for about $65 online (eBay). 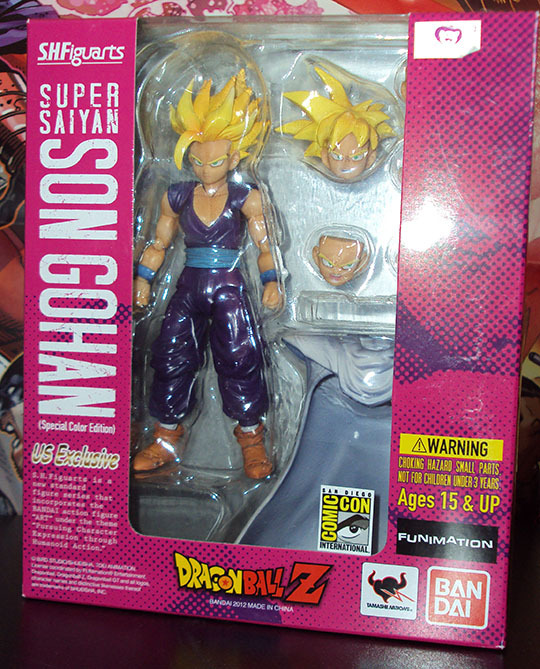 Check out the San Diego Comic-Con Exclusive of Bandai’s S.H. Figuarts Dragon Ball Z Super Saiyan Son Gohan. This is the Special Color Edition which sports a much richer color palette. Includes the same accessories as the original version and sold for about $35 at the convention. There’s no doubt this will be a must have and will sell for at least twice what it sold for at Comic-Con. 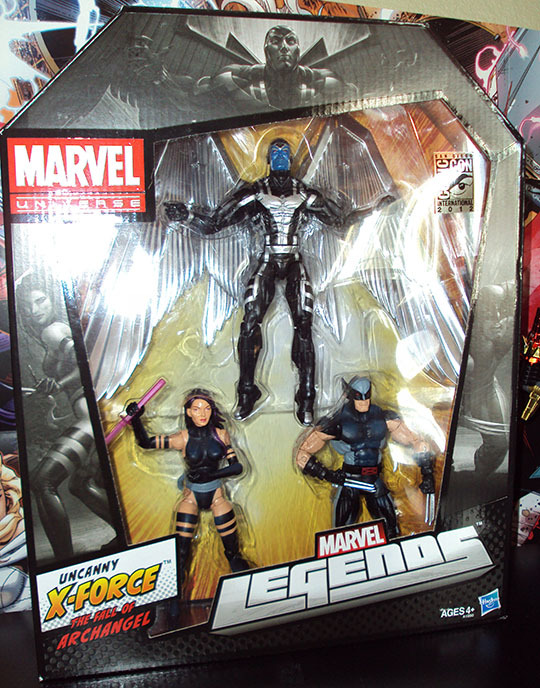 The Exclusive San Diego Comic-Con 2012 X-Force Edition X-23. Cloned from the mutant codenamed Wolverine comes the lethal X-23 (Laura Kinney). X-23 joins Kotobukiya’s popular Marvel Bishoujo PVC statue series. She’s a 1/7 scale (6 inches tall) statue made of high quality plastic, beautifully sculpted, sports a professional style paint job, includes pre-attached claws and a rock style display base. Sold for $59.99 at SDCC. It’s Judgement Time! 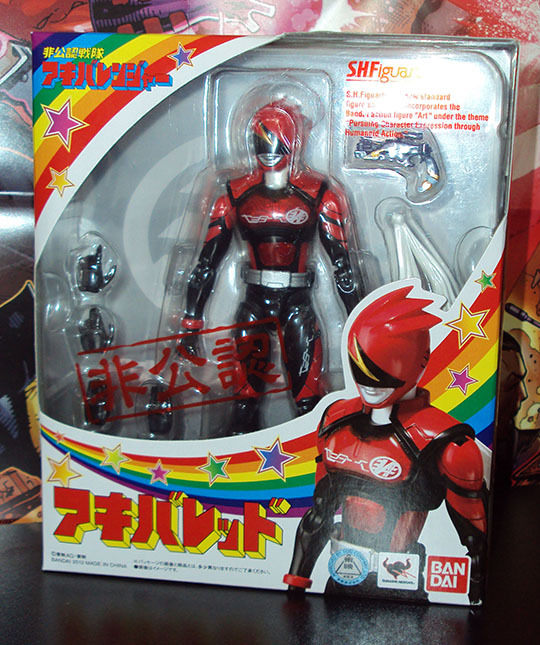 Deka Red is the first of the Dekaranger team to join Bandai’s S.H. Figuarts Action Figure line. Standing 6 inches tall, figure includes extra hands, D01 & D02 Magnums, Hybrid Magnum, SP License, optional belt holsters and a giant size D-Whopper (really for Akiba Red S.H. Figuarts Action Figure). 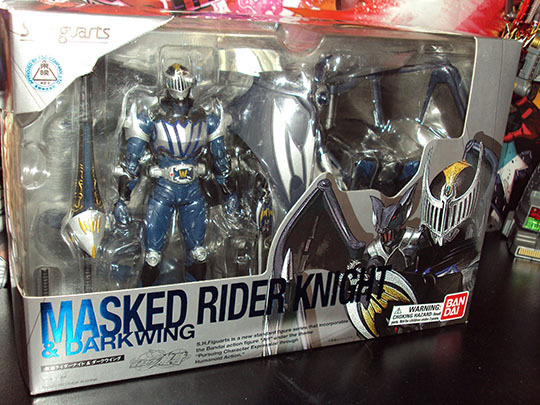 Priced at about $45, this figure is very true to it’s live-action suit design. Highly pose-able with its many articulation points, you can really pose out this figure into anyway desirable. Get yours now (eBay, Amazon, Bigbadtoystore). Finally returned from San Diego Comic-Con 2012. Long tiring 5-Day event but I was able to secure some very cool exclusives along with other things I’ve been putting off. First the exclusives. 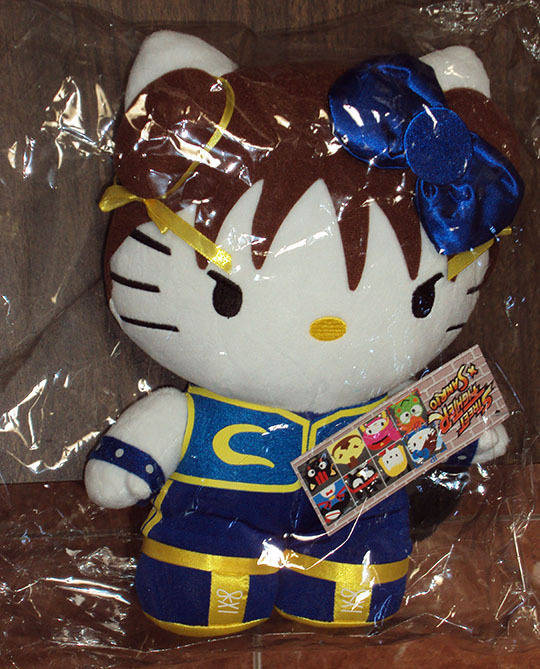 For my sister I picked up the Toynami Exclusive Hello Kitty Chun Li Edition. Kotobukiya Exclusive Marvel Bishoujo X-23 (X-Force Edition). This is the one fans wanted cause she’s sporting the angry face. Finally after so many Comic-Cons, I finally got a exclusive Comic-Con Shirt. 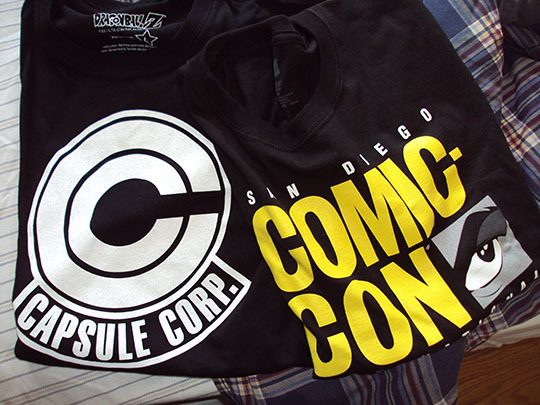 Also found a cool Capsule Corp logo from Stylin Online. Wasn’t planning on getting these until a friend called me while she was in line at the Hasbro booth. These are the exclusive G.I. 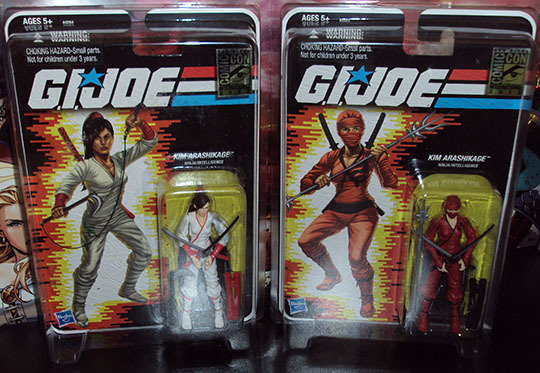 Joe Jinx action figures. Now for the other stuff I’ve been waiting to buy in person just never got around to do it. And to my surprise, the new TMNT figures for the new Nick Animated series was being sold by a few dealers. 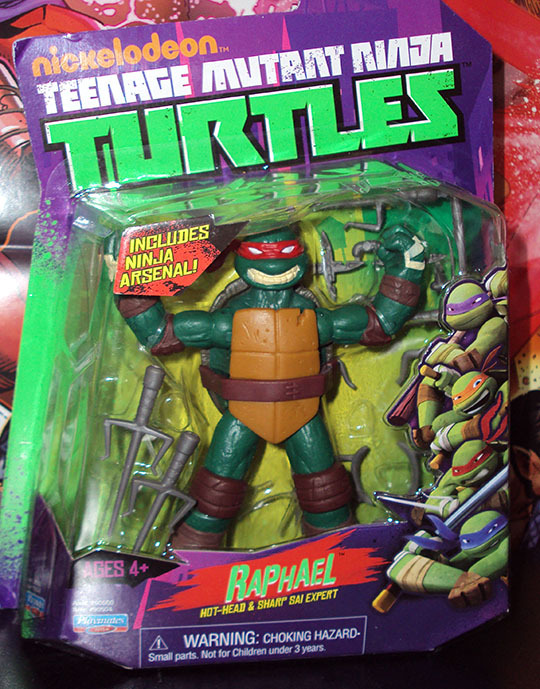 Had to get Raphael. That’s the Haul. Gonna need a few days to rest before I work on video reviews. Stay tuned!